That’s what makes Samsung’s CHG70 “gaming monitor” an interesting proposition. 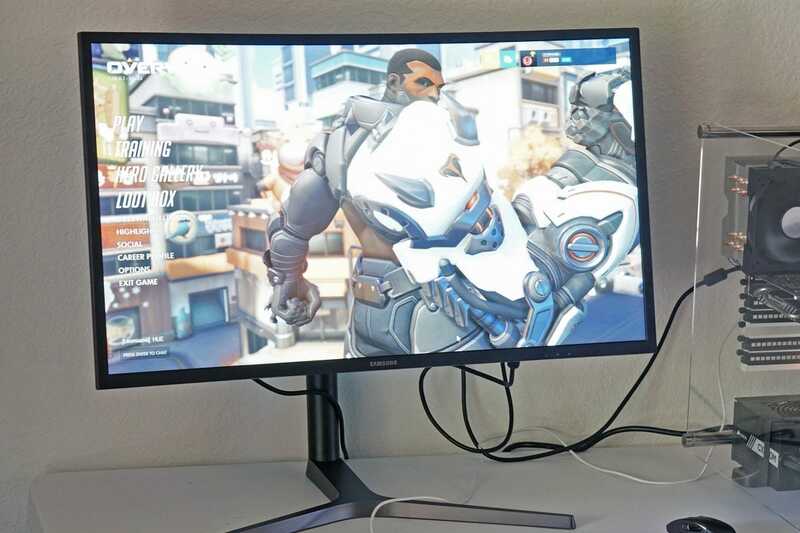 It’s a gorgeous 31.5-inch curved panel that will dwarf most monitors, gaming or otherwise, even if it doesn’t extend into the realm of ultrawide resolution. In fact, the resolution is an ideal compromise: at 2560×1440, it’s enough to be a significant upgrade over 1080p without being so huge that it will strain your graphics card in-game like most 4K panels do. And while all of that is nice, it’s not especially extraordinary. 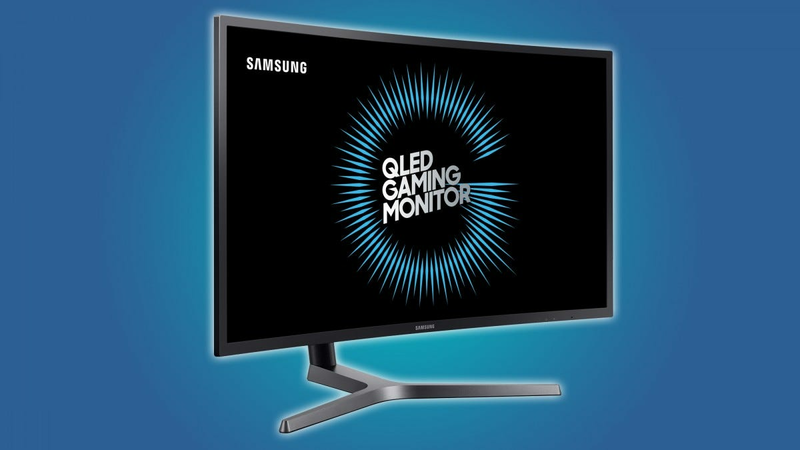 No, the big headlines for this capital-G Gaming capital-M Monitor are a super-fast 144hz refresh rate, 1ms response time, and HDR support thanks to Samsung’s “Quantum Dot” backlight technology. Better yet, you can get all of this for the fairly reasonable price of $550 US. Or, indeed, quite a bit less if you shop around. How much less? I purchased the unit I’m reviewing here for personal use via a refurbished sale on Woot.com (sadly, they’re freshly out of stock) for only $400. Considering the specs outlined above, that’s a bargain—if you’re willing to roll the dice on a panel that might have been used and abused and comes with a shortened warranty, that is. I was, and if you find a deal on this monitor from a reputable reseller, you might consider taking the same chunk-of-change saving risk too. The monitor arrived in an absolutely massive package, apparently the same one used for new sales and including all of the various bits and pieces needed to assemble it. 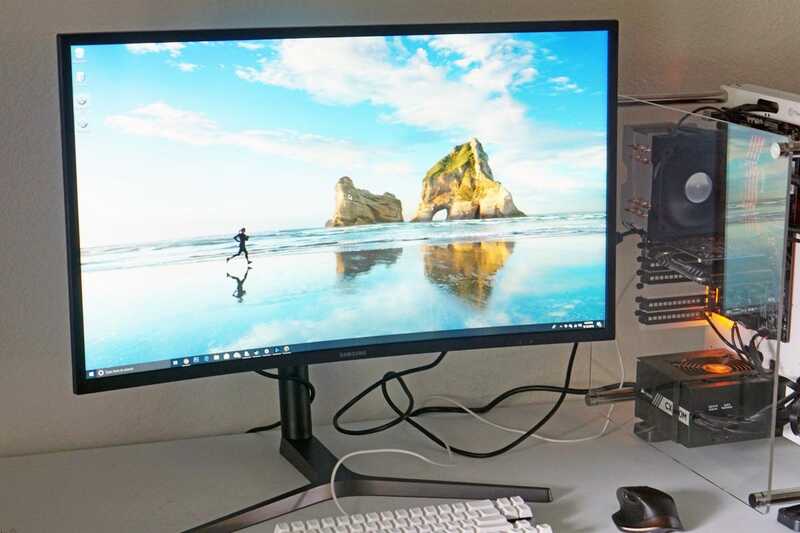 Though the photos in this article showcase the monitor next to the How-To Geek’s “Company Car” desktop PC, that’s just to show off what it looks like by its lonesome. For daily use, I actually installed it as the centerpiece of my triple-display standing desk setup. And therein I discovered one of the bigger downsides of this particular design: not only is the 32-inch beast massive in terms of horizontal and vertical dimensions, it’s also extremely deep. Between the sharp curve of the screen itself and a big, sloping plastic case, the screen itself is about six inches from the front to the furthest point on the back. Add in the rather large Samsung stand (which includes a slanted elbow joint where most stands are straight) and the monitor screen will sit almost a foot away from the back edge of your desk or wall—quite a long ways on a standard 30-inch tabletop, and an uncomfortably close distance to use such a large screen on anything smaller. On my particular setup, I needed an adapter bracket for my triple-display stand and another adapter to add VESA mounting to the CHG70’s oddly deep frame. Fortunately, the adapter was included in the box and didn’t entail some silly $20-35 upcharge. After all this adapting, though, the screen was sitting about four or five inches closer to me than my previous center monitor (also a 32″ Samsung model), forcing me to make some unsightly adjustments to the Dell screens on either side. If you opt to use the included stand, you’ll need to make some serious room on your desktop. But assuming you have the space available, it’s fairly serviceable. The elbow joint will hold the display high enough to be ergonomically comfortable or low enough to nearly touch the desk. The hinge is smooth in motion and still sturdy enough that it won’t budge even during furious gaming sessions (or those times when you feel like abusing a poor, budget mechanical keyboard to write up a monitor review). It also rotates 90 degrees for portrait mode without any special adjustments, but considering the sheer curved size of this thing, actually using it in that way would be impractical at best and uncomfortable at worst. Still, bonus points for not making us take the stand apart to switch the orientation. So, the CHG70 isn’t exactly svelte or easy to set up. 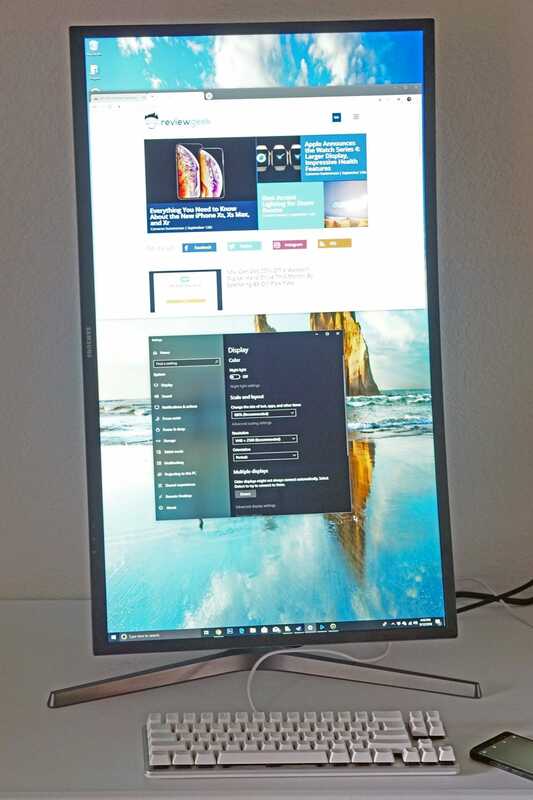 But if you’re looking for a 32-inch desktop display, that’s probably not a major concern as you’re already commited to monitors that come in massive, massive, and more massive. Let’s move on to its looks. As gaming monitors go, it’s actually surprisingly understated, with none of the bombastic red trim or “fierce” sub-brand logos you’d find on a similarly-equipped model from Acer, ASUS, or Dell. While the half-inch bezel isn’t anything particularly notable, the Y-shaped stand looks quite nice, and the so-blue-it’s-almost-black color scheme throughout should work with just about any game room or office decor. The one concession Samsung has made to “gamer” aesthetics is a light-up LED ring near the mounting bracket on the back. But since it only lights up white and even its brightest setting can barely be seen behind the massive surface area of the screen, it’s best ignored. If you want some more functional backlighting for your monitor, check out these LED lightstrips instead. Once in place and connected to my desktop, I set out to put the CHG70’s gaming chops to the test immediately. Because this was my first taste of a monitor with a refresh rate higher than 60Hz and sub-5ms response time, I was eager to see if it might actually make a difference while playing games or going about my daily Review Geek duties. And indeed, it did, but perhaps not as much as you’re hoping. In daily work use, seeing the desktop refresh one hundred and forty-four times a second isn’t much of a thrill, since the only time you’ll really see the effect is when scrolling through a document or a web page so fast that you can’t read anything anyway. It’s the kind of thing that looks nice, but doesn’t go quite so far as “enhancing the experience.” Faster response times in the settings menu result in considerable reductions in the appealing maximum brightness, so I settled on a compromise of 120Hz for the sake of my eyes and my framerates. On the other hand, I noticed the performance enhancement of the 1ms response time right away. In fast-paced shooters I found myself hitting those tricky precision shots on a much more consistent basis, enabling my reflexes to lose the tiny fraction of “lag” your brain learns to compensate for after years of practice. In online games, this is generally overshadowed by connection lag, but I still felt I was seeing a definite benefit from it. 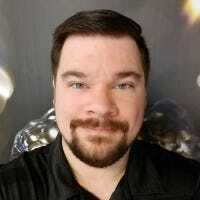 Whether that benefit is worth a good chunk of a paycheck is debatable, though, especially since a super-fast response time has absolutely no benefit outside of fast-paced gaming. Do note that this model is compatible with AMD’s Freesync 2 system, but doesn’t include the costly extra hardware required for NVIDIA’s proprietary G-SYNC. Samsung, like most of its competitors, is using a VA (vertical alignment) display panel for its gaming-branded monitors. This technology straddles the line between fast response times and poor viewing angles found in the cheaper TN panels and the better color reproduction found in more premium IPS panels. It’s also matte, which ideal for indoor viewing and avoiding the glare from glossy panels that gamers tend to shun. While Samsung’s Quantum Dot boast isn’t much more than smaller and more even LEDs for the backlight, it’s certainly effective: even on my refurbished unit, I noticed zero light bleeding and remarkably even lighting all the way across the screen. The color reproduction isn’t quite as rich and varied as the IPS panels on my trusty Dell Ultrasharps, but it’s nowhere near as flat and inconsistent as my previous (somewhat budget) larger central monitor, even with its IPS panel. While the color reproduction isn’t ideal for hi-fi movie watching, and the stylish curve won’t do any favors for graphic artists, it’s more than serviceable for all-round desktop use and media consumption. The performance of Samsung’s HDR technology is hard to gauge, what with the lack of support in major web video platforms. But thankfully Middle Earth: Shadow of War supports it, so I set out to test this newfangled tech. As advertised, the contrast and vibrancy of the lighting in the game was considerably enhanced (thankfully without the same hit to graphics settings that a 120-144Hz framerate requires). Again, this is the kind of thing that looks nice and subtly improves the picture, but might not be worth a $400-550 upgrade depending on your priorities. 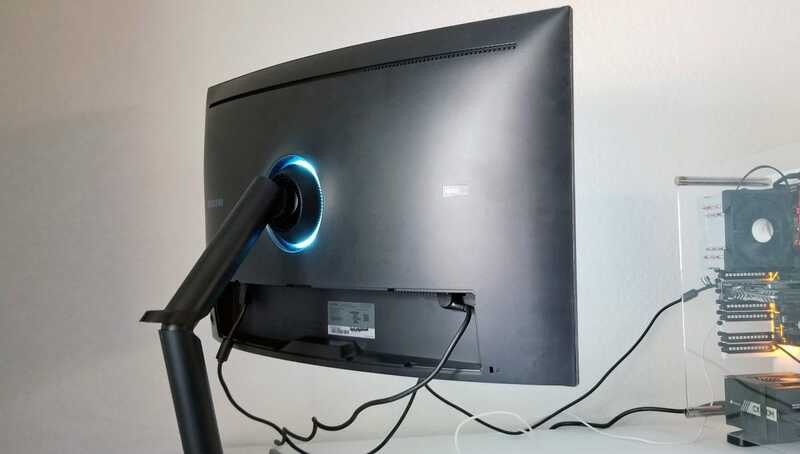 In terms of connections, the CHG70 comes with an integrated power supply which uses a standard desktop power cable—though the one included in the package was, oddly, bent at the wrong angle for the port’s actual position on the back of the monitor. 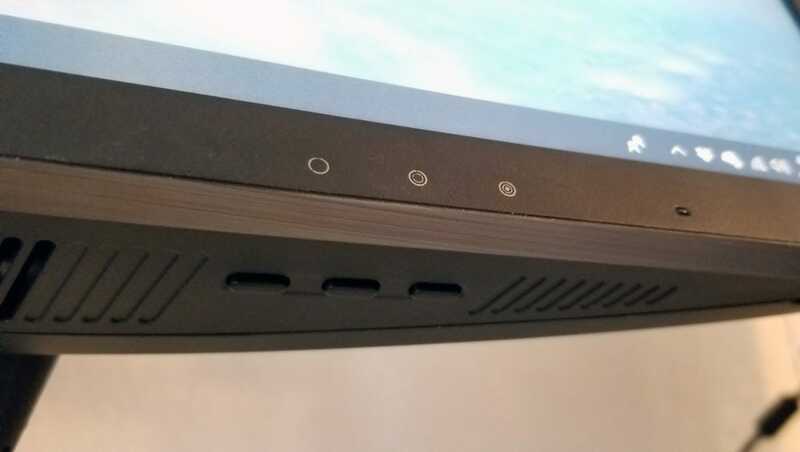 It sports two HDMI ports and a single full-sized DisplayPort—no option for DVI, though it wouldn’t be able to take full advantage of the display panel anyway. There’s also no option for USB-C video, which isn’t surprising, but it would have been appreciated for the sake of future-proofing. The monitor can handle switching between inputs, and I connected my Nintendo Switch up to it just to test its non-PC capabilities. It handled the game console with ease, and had no problem blowing up the 1080p signal without distortion or pixelation. All the ports are fairly easy to reach, all things considered, but for some reason Samsung included a plastic cover for the port area. Since you’re unlikely to look at the back of your monitor once it’s set up and it only gets in the way of cable routing, I opted to leave it off. I’d like to offer some particular praise for the monitor’s on-screen menu system and controls. You manage the whole thing with a tiny joystick built into the plastic body of the screen, behind the lower-right corner. You navigate the display by pressing in like a controller joystick, then moving the control to the corresponding direction that you see on screen. At first, it seemed cumbersome and I was prepared to hate it. I found, however, that combined with the smart layout and well-organized menu system, it’s actually the best one I’ve ever used. The menu itself is pretty smart as well, thanks to a top bar that shows you the black levels, refresh rates, and relative response time for every setting you change. And since the monitor’s fastest, most low-lag setting is considerably darker than its more typical setup, there are three buttons on the bottom of the screen that allow you to set up collections of settings for ideal applications. So if you’d like a super-bright 60Hz setting for standard web surfing, a faster 120Hz setting with around 5ms of input lag for movies, and a super-fast 144Hz 1ms setting for ideal gaming, you can set them all up and activate each with the press of a single button. It’s a very smart and convenient way to give you access to the best configuration for what you’re doing at any given moment. All in all, I’m fairly pleased with the Samsung CHG70 at the $400 price I paid for it. While I wish the panel itself was thinner, especially with its bulky VESA mount, the super-low input lag has markedly improved my PC gaming sessions. The fast refresh rate and HDR aren’t quite the game-changers Samsung would like you to think they are, but they’re nice additional features nonetheless. Whether it’s worth the full $550 retail price for you will hinge on a few factors: one, are you willing to pay a considerable premium for a big, flexible monitor, but not willing to jump into the $800-plus territory for even fancier 4K and G-SYNC variations? And two, does your gaming desktop have the extra oomph needed to take advantage of the fast refresh rate and QHD resolution? If you fit in that somewhat narrow range, then go ahead and consider it recommended. This design comes in 27-inch and 24-inch models with the same high refresh rates and low input lag at a cheaper price, though the smallest version has only a 1080p screen available. At the size and price point the 32-inch model comes in, it’s a solid purchase for anyone in search of a sharp and versatile screen. If one Bluetooth speaker sounds good, two sound better. And three sound even better, and… you get the idea. These speakers offer a “party mode” to make it dead simple to pair speakers for powerful playback. Here’s our top picks.